Dogs can sniff out lung cancer, scientists have proved for the first time in a breakthrough that could lead to an early diagnosis of the condition. 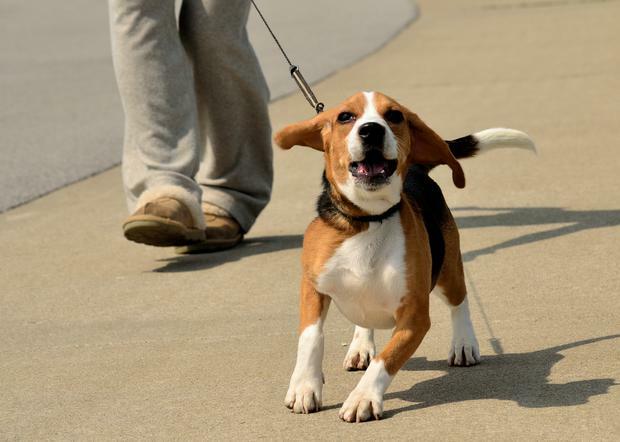 Researchers in the US showed beagles were able to detect tumours in samples of human blood with nearly 97pc accuracy. Dogs have smell receptors that are 10,000 times more accurate than humans, making them highly sensitive to odours that humans could never perceive. They have already been shown to pick up the scent of Parkinson’s disease and tell when a diabetic is suffering from dangerous blood sugar levels. Until now, studies have proved largely inconclusive for whether they could detect cancers, but a new study using four dogs has shown that it is possible. They are also hoping to find out which chemicals are behind the signature sent so that people could be screened using ‘artificial nose’ technology as well as by using dogs. “Although there is currently no cure for cancer, early detection offers the best hope of survival,” said Heather Junqueira, lead researcher at the Florida-based biotech company BioScentDx. For the new study, the team used a form of clicker training to teach four beagles to distinguish between normal blood serum and samples from patients with malignant lung cancer. Although one beagle refused to perform, the other three dogs correctly identified lung cancer samples 96.7pc of the time and normal samples 97.5pc of the time. BioScentDx is currently carrying out a breast cancer study in which participants donate samples of their breath for screening by trained cancer-­sniffing dogs. The researchers also plan to separate the samples into their chemical components and present these to the dogs to isolate which substances the dogs are detecting. “This work is very exciting because it paves the way for further research along two paths, both of which could lead to new cancer-detection tools,” said Ms Junqueira.